In our current climate of ‘grab it when you can’, the correlation between materialism and narcissism becomes inextricably linked. As years have gone by, collective narcissism has seen the wiping out of many species fuelled by both insatiable consumerism and a persistent need to express self-importance. Narcissism itself is not a new phenomenon although recent headlines hint that we are in the midst of a ‘Narcissism Epidemic’ and breeding a ‘Selfie-Generation’. The term originated more than 2,000 years ago when Ovid wrote the Legend of Narcissus about a handsome Greek hunter who fell in love with his own reflection. After his death, the narcissus flower grew where he lay, leading to the name Narcissist. 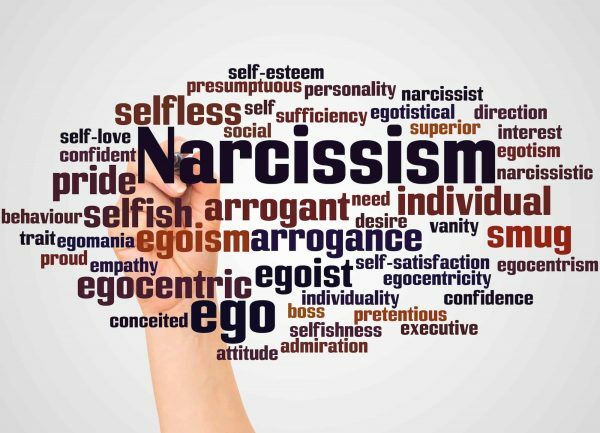 Theories suggest that narcissism lies on a continuum from healthy to pathological. It becomes a problem when the individual becomes preoccupied with the self, needing excessive approval and showing disregard for others sensibilities. The last decade has witnessed a shift from a commitment to the collective, to a focus on the individual. Interestingly, a study tracked the number of times the word “I” appeared in popular texts compared with “we” and found a sharp rise in the singular and decline in the plural. Does this mean we are all inherently selfish then? Apparently, not. Harvard researchers followed a cohort of people over a 75-year period to investigate human motivation. They found that for most people the greatest predictor of life satisfaction were strong and supportive relationships and not fame and money. It could be that the journey from narcissism to connection is in essence a journey from immaturity to maturity. This might prove more challenging in a society where Facebook has replaced face-to-face communication. However, it appears that at the end of the day, we all know “we’re worth it”.